Not sure even how to break this to my readers. This will be my last post with The Secret Recipe Club. Not because I am leaving, but because the club as a whole will be shutting down. It is sad, very sad, I’ve been a member for a long time. My first post was in October 2011. Five long yeas, and I enjoyed every single month of it. But, many members were quitting, not enough new members joining, so that is that, folks. We knew about this for over a month, and I’ve been dreading this post with the bitter taste of farewell. Farewell to a good thing. Anyway, my last assigned blog was My Hobbie Lobbie, hosted by Trisha and I can say it allowed me to close this blogging chapter with a golden key. I learned so much by stalking her site, Trisha cooks a lot of authentic Indian food, a cuisine I adore but find a bit intimidating. I had a mile-long list of stuff bookmarked, will share a few of my choices to give you a taste (pun intended) of what her site is all about. For starters, her take on Tiramisu… But then, she tempted me with Homemade Samosas (sigh). Or Methi Namakpare, something you probably don’t know what to make of, but jump over there to start dreaming about it. Her take on Chicken Tikka is another show-stopper. But the one that I really wanted to make and if life was a little less frantic I would have: Chicken Biryani, the very best according to Trisha. I even bought all the ingredients to make it, just never got to it. Not yet, that is… Another heavy contender – a very unusual daal using black chickpeas. Guess what? I found those in our Oriental market, so stay tuned, it will be on the blog sometime soon. Anyway, you can see how much I adored getting her blog for my final assignment. Final assignment. This is really sad. Note added after publication. For this final adventure in SRC, my blog was assigned to Sawsan, from Chef in Disguise. I woke up today to read her post that shall stay with me forever. I am touched beyond words. If you’d like to see what she cooked from my blog (it’s a great bread! ), visit her wonderful site. Blanch the spinach in hot water till wilted. This should take about 3 minutes. Drain using a colander and run under some cold water till it cools down. This will help maintain its lovely color and will prevent it from cooking any further. Blend it to a smooth paste and set aside. Heat oil in a large pan. Add the cumin and fry till it is fragrant. Don’t let it burn. Add the shallot and let it fry on low heat till it turns soft. This should take about 5-6 minutes. Add the ginger and chile and cook for another minute. Add the coriander powder and salt and cook for 30 seconds. Add the spinach puree and a tiny splash of water if necessary. The puree should be loose, but not watery. Bring this to a boil and simmer for 3 minutes. Add the garam masala powder, paneer cubes and milk. Stir and cook for a few minutes till the spinach is nice and creamy. Add lemon juice to taste. Serve over rice. Comments: I’ve had Paalak paneer in Indian restaurants quite often. Love the stuff. The creaminess, the spices, but I never attempted to make it at home. 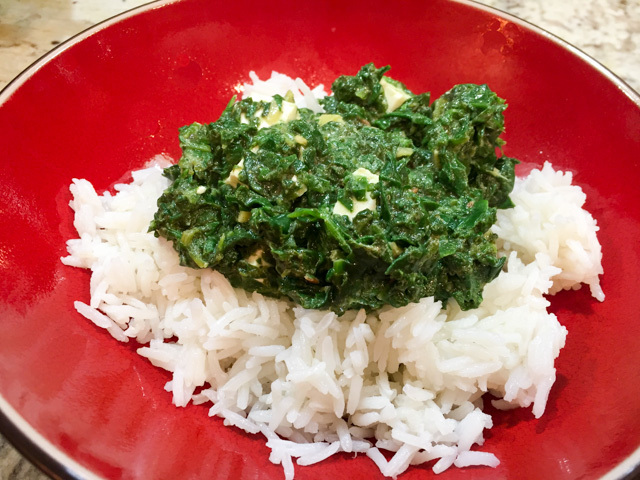 Like sushi, palaak paneer is something I reserved for dining out. Once I got this assignment and spotted the recipe on Trisha’s site, I could not quite get it out of my mind. Plus, our Oriental market carries paneer cheese, so the trickiest ingredient involved did not pose a problem. My only advice is, get a lot of spinach. A LOT. I did not bother weighing, but I just got a lot more than I thought I needed, and that was a wise decision. I intended to make some of her Jeera rice, but ended up serving it with normal, plain Basmati. My favorite rice in the whole wide world. After we enjoyed it at dinner, there was a little bit of Paalak left. Not enough to stand on its own as a side dish. I considered adding to a frittata or omelette for my lunch next day, but then it hit me: why not use it as the flavoring base for a soufflé? At first I tried to fight that idea. The spices seemed wrong and out-of-place. But shouldn’t we try to open our horizons instead of accepting preconceptions? I went ahead with it. 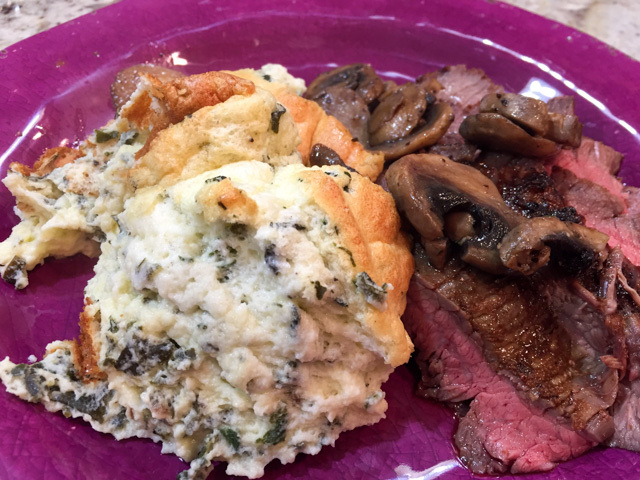 Used my basic Julia Child’s method, and… one word for you: WOW! We devoured this soufflé with abandon… it was spectacular. So, yes, I recommend that you not only make the Paalak paneer, but then save a little bit of it to use in this quite successful fusion cuisine experiment. It was creamy, tasty, the spices made it absolutely special. Well, folks this is it for the Secret Recipe Club. It was great while it lasted, that’s for sure. that kept such great atmosphere in the background. I had a blast with all of you. Wow that club had a long life! Both paneer recipes look great, I almost always get a serving of it from an Indian buffet we have in town. I love your writing so much Sally. This captured it perfectly. And then… that souffle!! Wow! Seriously!! I remember trying desperately to get into the SRC. I guess the blogging landscape is changing, but I’m so grateful to have met you, and know that we will remain friends. xoxo. feel exactly the same! Connections made cannot be un-made! and they will not! Such a shame, I know how much you’ve enjoyed this club 😦 but I know you will still be making amazing food! cooking never stops, right? 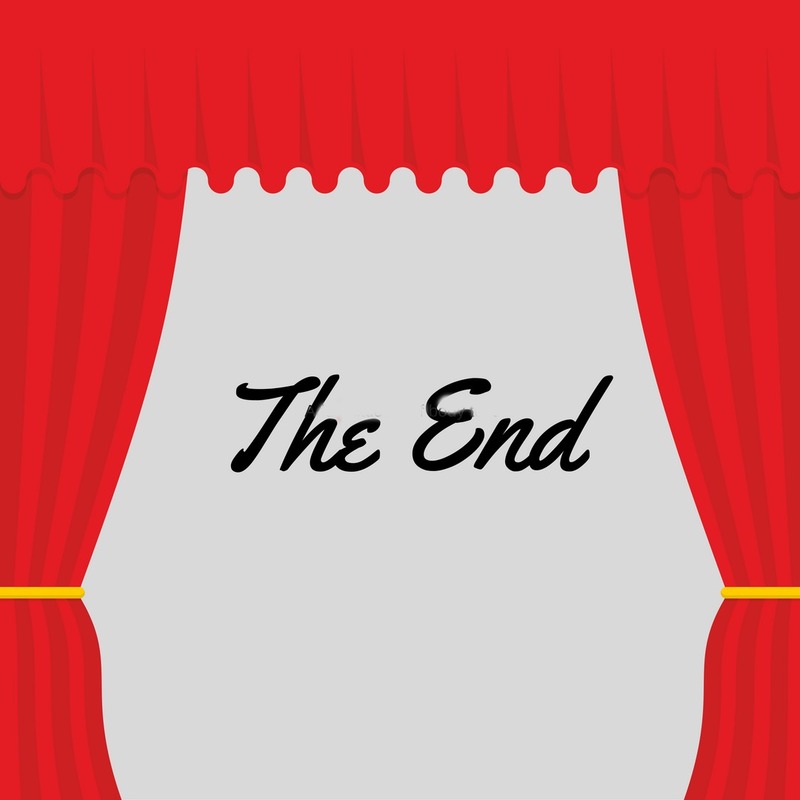 It was fun and well… things sometimes have to end, so that’s that. What a wonderful way to say good bye! This looks amazing and is one of my favorite Indian dishes. Happy Reveal Day! What a shame but then I guess people’s lives are getting busier and free time is becoming a premium. 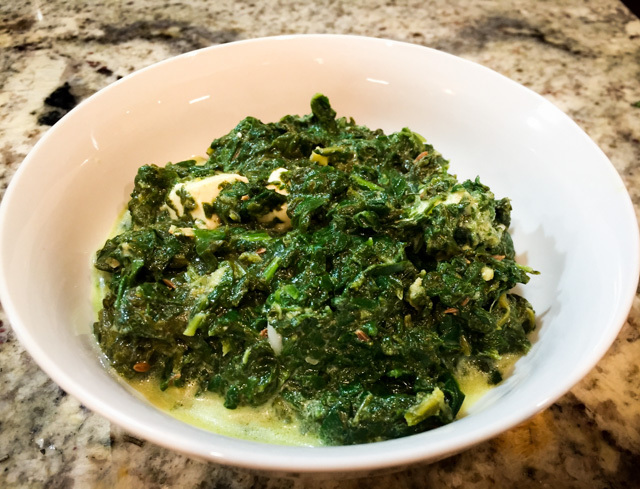 The palak paneer looks lovely (make your own paneer for a real treat) but to be honest, the souffle you made with the leftovers is even more appealing. 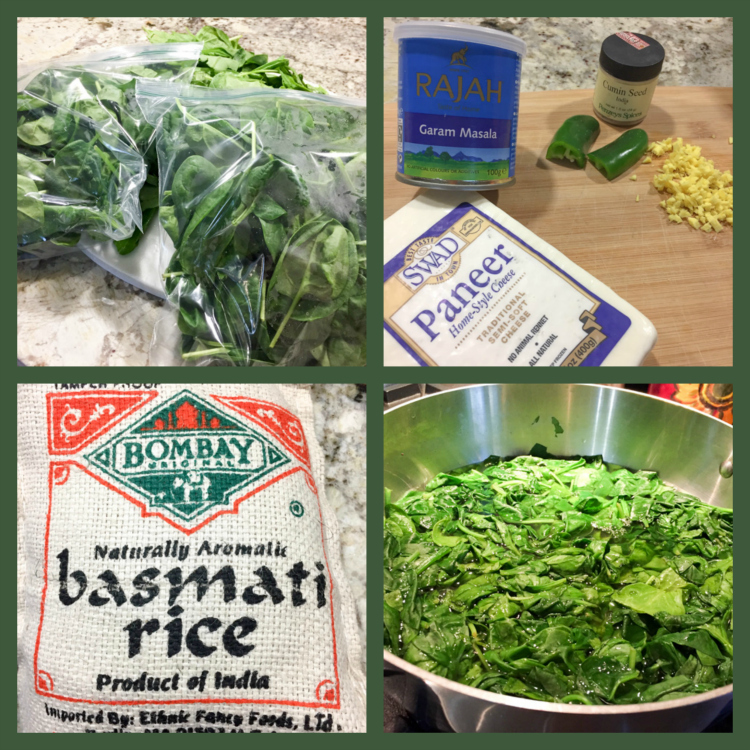 I made some Palak Paneer from Camilla’s blog when I was in Group B, for one of my assignments a couple of years ago, and I’ve made it several times since. I even keep some in the freezer. I had to make my own Paneer cheese though. I’m sorry the SRC is going away, but so glad I got the chance to ‘meet’ so many bloggers along the way. making your own Paneer cheese takes it up a notch, that’s for sure! Yes, pretty sad day. Your recipe looks great though! Great pick this (last) month. Thank you…. it was a fun recipe to try, and of course… the souffle…. WOW! I love this. We eat spinach at least once a week and I’m always looking for a different twist! Ob what beautiful comments for the final SRC post and what a lovely pick with great spices. And I am with you about the total joys of basmatic rice: heavenly! YUM! Awesome recipe for the final SRC post! 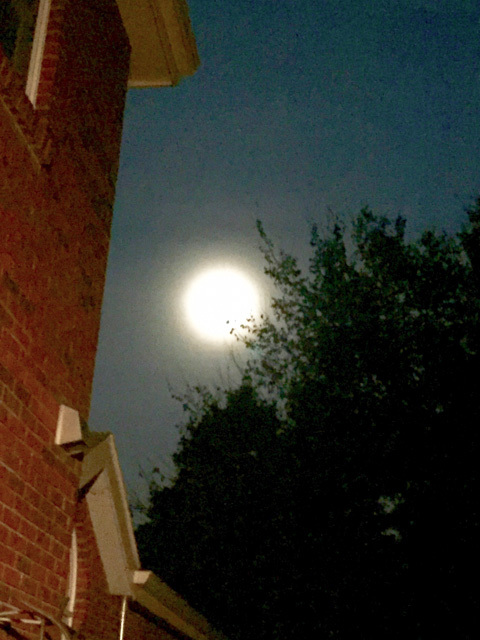 I am going to miss it too, very very much so…..
thanks for stopping to say hello! The spinach dish has my name on it, but that souffle is genius! May I say it was been a pleasure being in SRC with you, and I will miss our monthly meet-ups. I know I will see you around on the interwebs, though,. Take good care! No doubt we’ll be connected no matter what – it’s been a ton of fun as you know! Great pleasure having fun fights with you! 5 years? Too bad the ride is endingAs an observer, I received more than a few recipes from you all. Today’s is a good example. Like you mentioned in the Comments, I’ve order tis dish countless times and never thought to prepare it at home. I guess the spinach is in my court now. Thanks, Sally.